Carpool – for a ride to the shop, be ready at 6:15 pm at the turnaround between Love building and IC building (green arrow on map). Bus – The Green Route stops directly at the shop. Drive – See address above. Walk – The walk from campus is not long, but don’t walk alone or at night. Stingerette – The Stingerette services the SCC (enter online as “575 14th Street”) but you will need to let them know you will be working at the SCC. If calling for a ride from the SCC, you should wait for the driver inside the gated area, since the SCC is considered “on campus” while outside of it is not. Meetings start at 6:30 pm and will end by around 9:00 pm in the beginning of the semester. The main weekly meetings are each Thursday and Friday of every week. 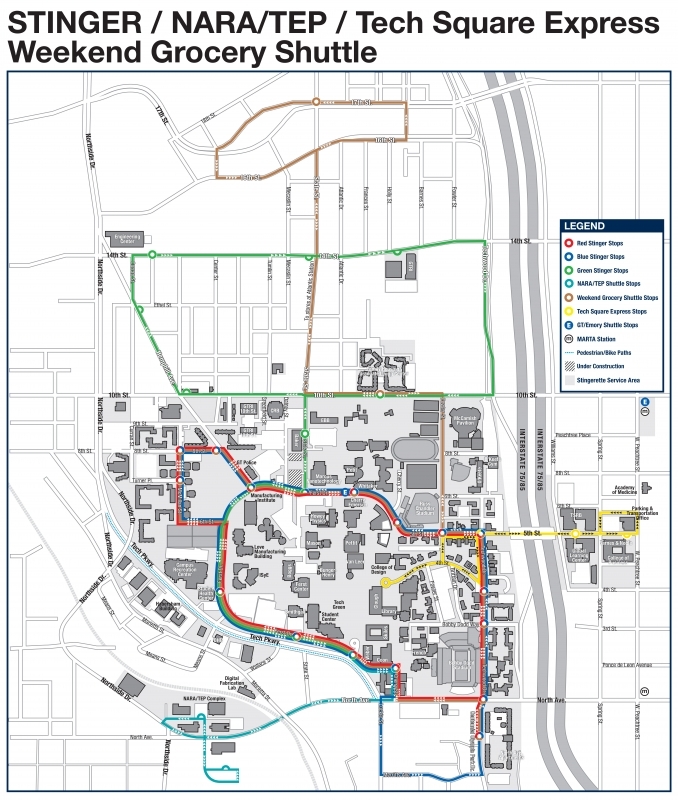 As the build season progresses meetings can last late into the night depending on what work needs to be completed, but members will be given rides back to campus if necessary.